Happy news from across the pond as Prince William and his girlfriend of seven years Kate Middleton have allegedly set the date for the royal wedding next year. The happy event will take place at Westminster Abbey on August 13th! Note, the date is tentative as no official announcement has been made so far. A date has been earmarked for a royal wedding next year. It is very tentative at the moment but currently the second weekend in August has been mooted,” an Abbey source said. According to reports, William has ruled out the possibility of getting married at St George’s Chapel, where his parents Prince Charles and Lady Diana married and chose Westminster for a “low-key” ceremony. Why 2011? The Royal family think it’s the best timing as 2012 is going to be a very busy year for the family. Just think about it: Great Britain is hosting 2012 Olympics and also marks the Queen’s diamond jubilee. 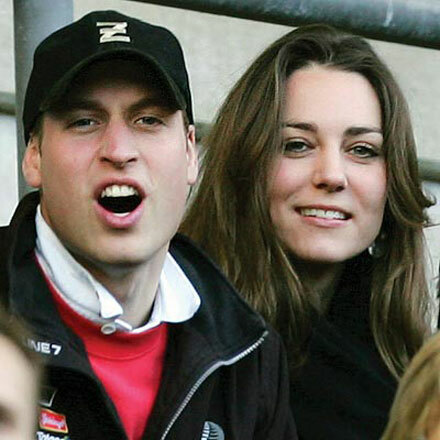 This means that either William and Kate marry in 2011 or wait all the way until 2013, which is too much to ask of Ms. Middleton, who’s been waiting for her royal marriage for the last seven years. Can’t wait to see Kate’s wedding dress. It must be ultimately r-o-y-a-l! 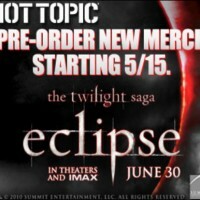 Twilight Eclipse Pre-Sale at HotTopic.com!